Forest school fun in the snow! 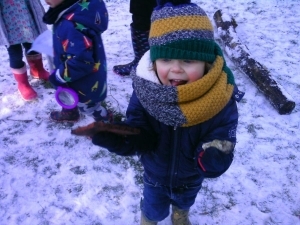 Pre-school have had lots of fun in the snow during their weekly forestry school session. They went to the woodland area to explore in the snow. They used magnifying glasses to search for natural objects and mini beasts!